Bellbird Park Saturday 7th. May. 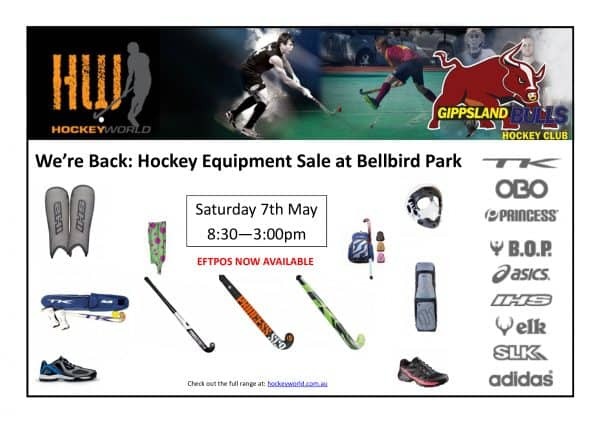 Gippsland Bulls are presenting our new sponsors Hockey World with a great range of Hockey Gear from 8-30 to 3-00.Saturday the 7th. May. So for those that missed out last time now is your opportunity. Support our sponsors and they will continue to support WGHA. If you wish to print off a copy of this flyer simply click on the image and print off.